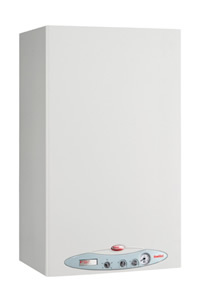 A boiler is at the heart of the central heating system that keeps most homes and offices warm. We supply, install and repair gas, oil and electric boilers as well as the other components of a central heating system such as the radiators, cylinder, pipework, thermostats and programmer. Radiant Heating Supplies Ltd are the authorised agents for servicing and warranty work for Radiant, Fondital and ARCA boilers in the Midlands region but can supply gas boilers by other manufacturers including Alpha, Baxi, Glow-worm, Halstead, Ideal, Main, Potterton, Pro, Remeha, Vaillant, Viessman, Vokera and Worcester. Oil fired boilers we supply are by Grant or Worcester and electric boilers by Redring or Heatrae Sadia. We can provide a survey and quotation for new or replacement boilers and central heating systems in the West Midlands, usually free of charge. We offer a 24hr emergency callout service for boiler repairs, gas and water leaks for which we charge a callout fee plus time on site and the cost of any replacement parts. However, we also offer annual maintenance packages with varying levels of cover to waive the callout fee and labour charges and include an annual service of the boiler. Some of the packages also cover the cost of replacement parts. Terms and condition apply to the maintenance packages. Please be aware that it is a legal requirement that anyone installing, maintaining, testing or repairing a gas boiler, associated pipe work and flues, in the UK is a suitably qualified Gas Safe registered engineer. All gas boilers, associated pipe work and flues, should be regularly serviced and tested by a suitably qualified Gas Safe registered engineer, normally annually, to ensure that they are operating within the specified safety limits. Under no circumstances is the information contained in this website intended to be used as a substitute, in any regard, for the advice of an appropriately qualified Gas Safe registered engineer.